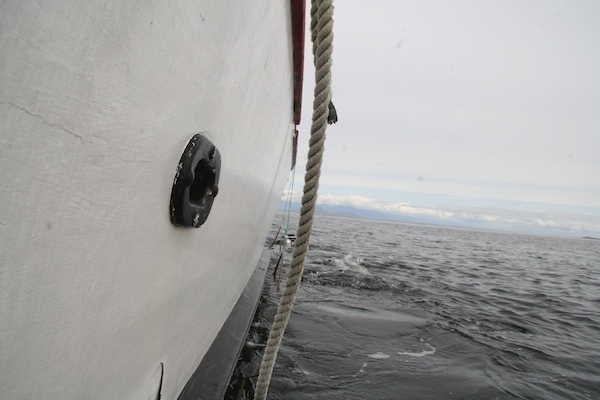 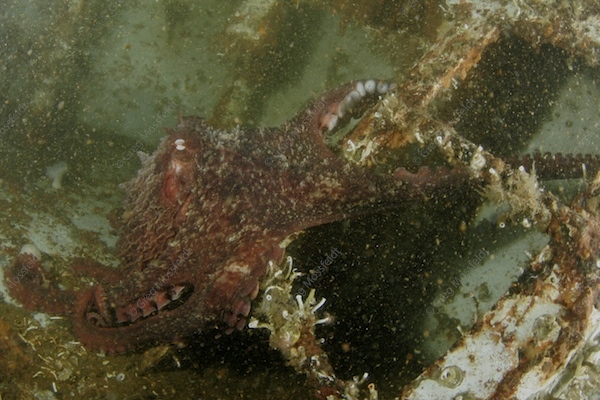 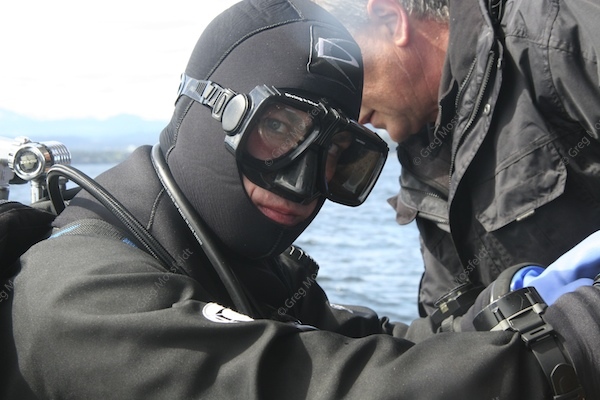 We had just enjoyed five days of diving in the Port Hardy area with Captain Dan Ferris on the Liveaboard Dive Charter Mamro. 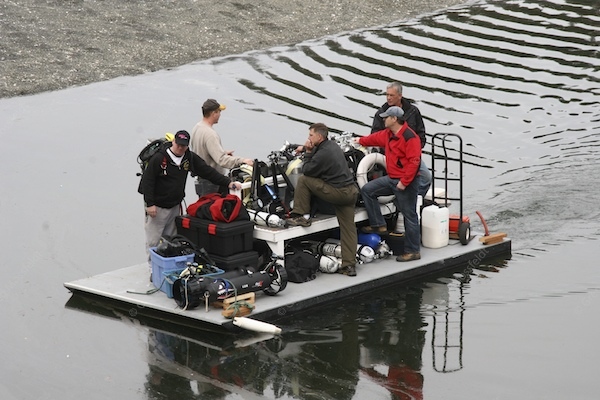 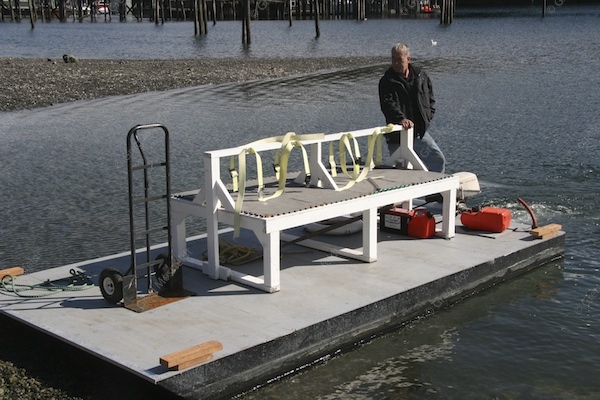 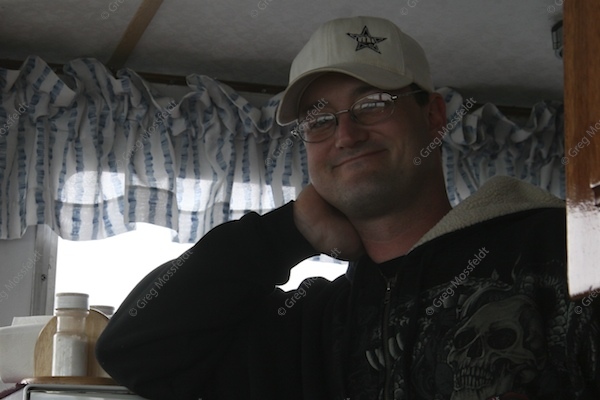 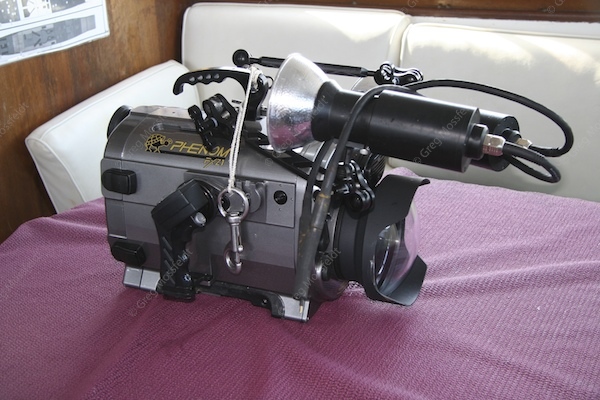 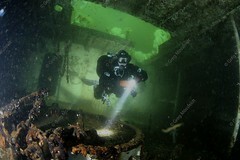 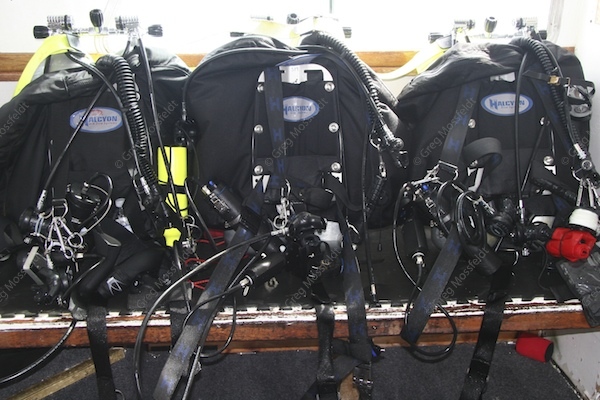 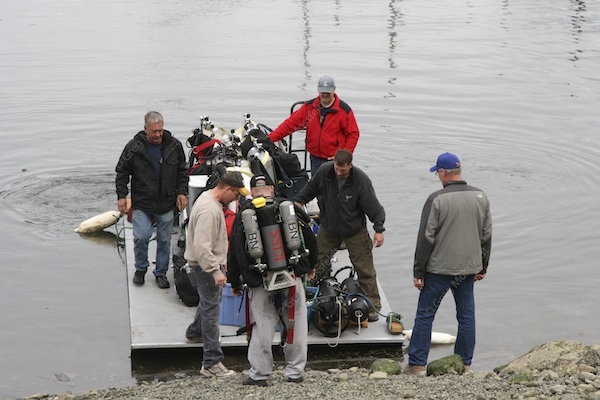 The divers were now looking forward to diving with Ken Adrian of Divers Choice on his dive vessel the Shawn Tanis. 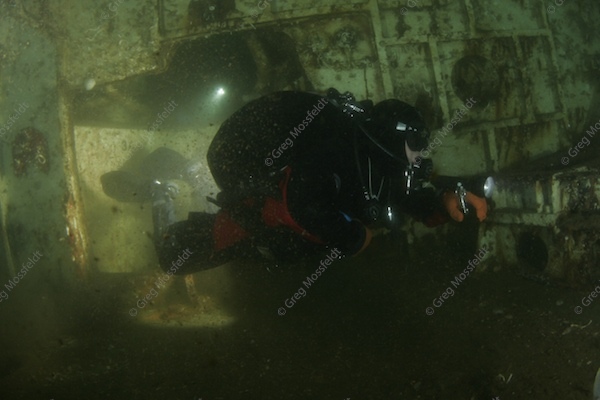 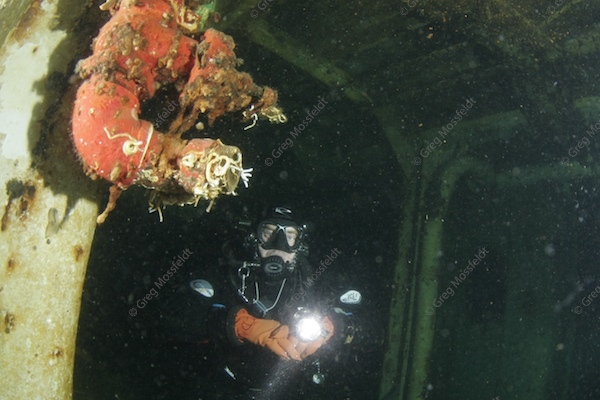 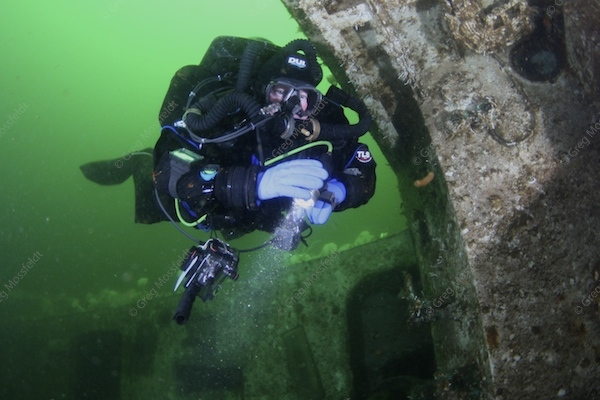 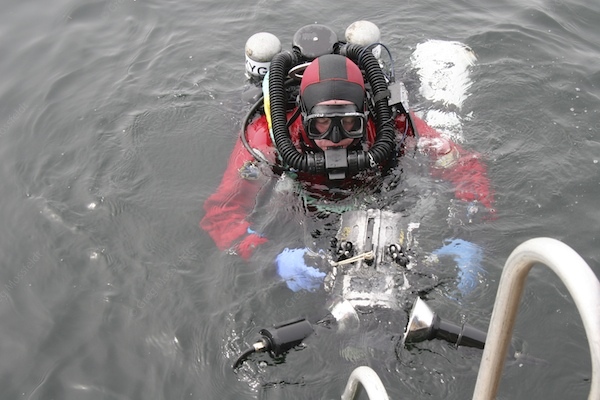 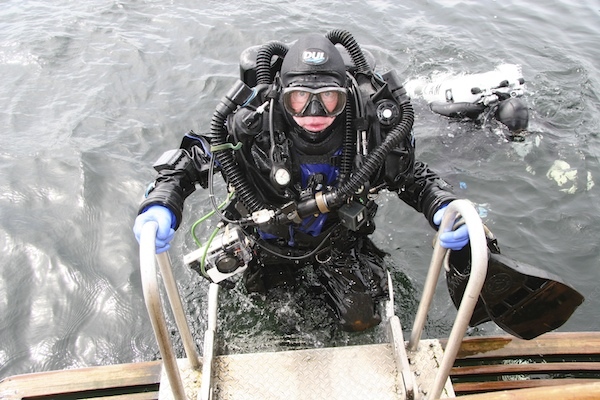 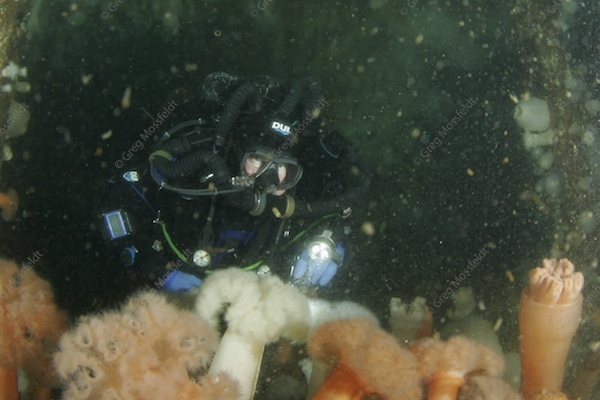 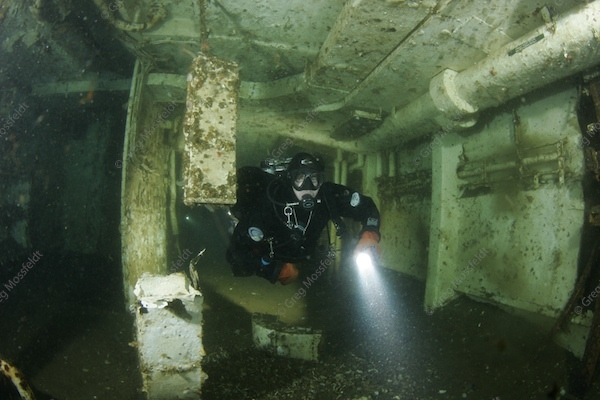 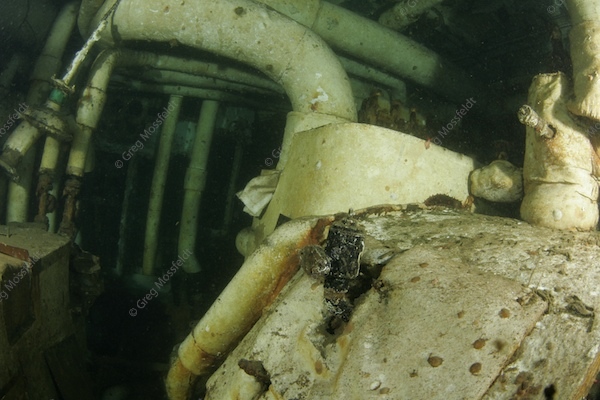 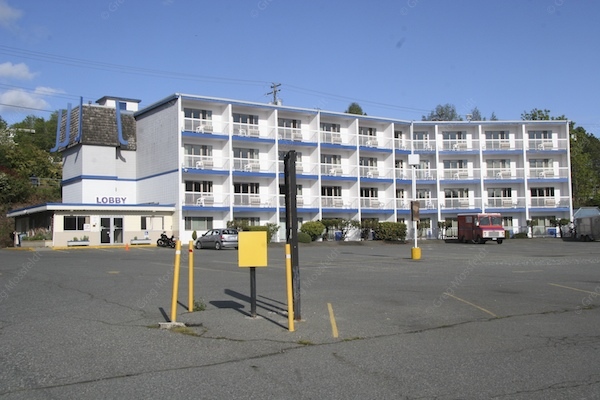 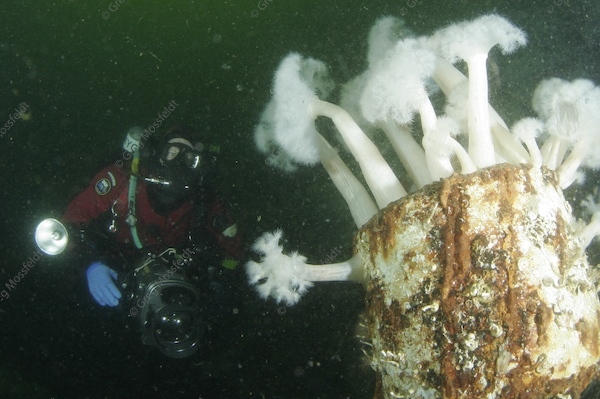 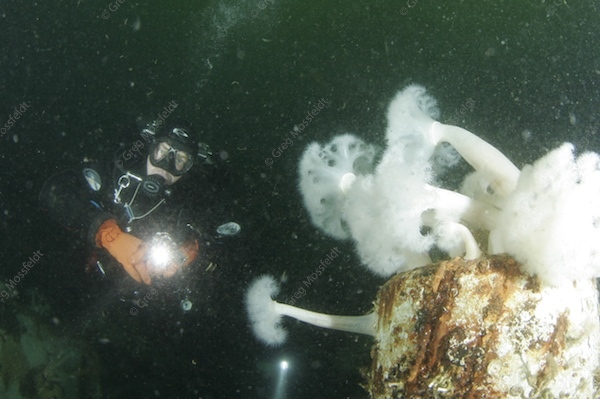 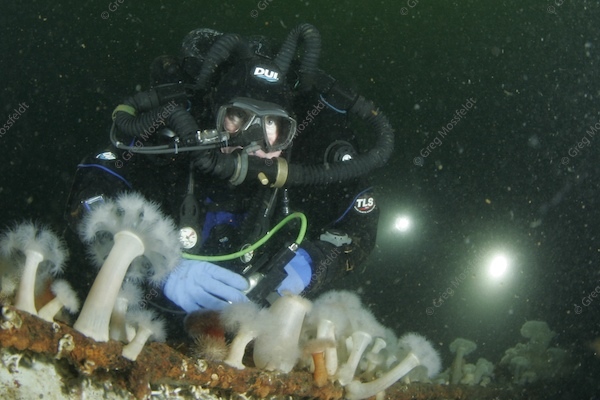 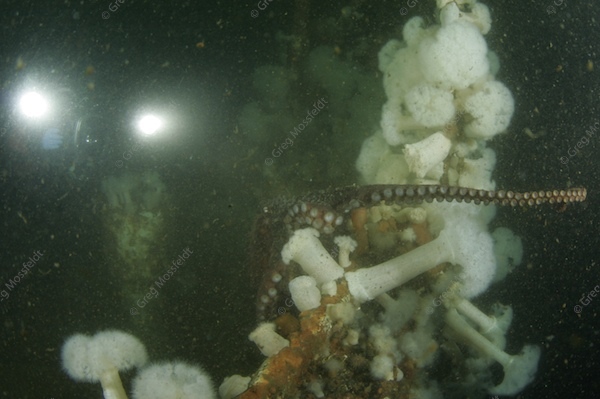 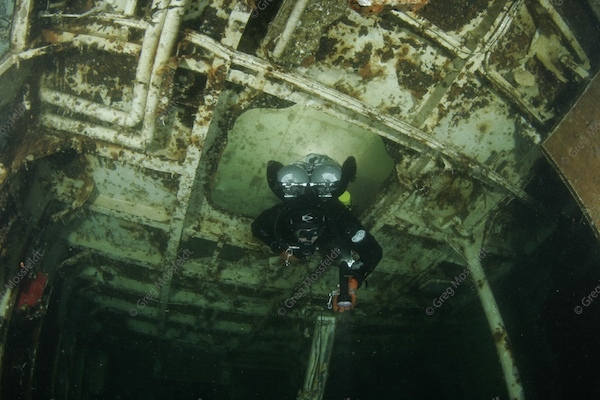 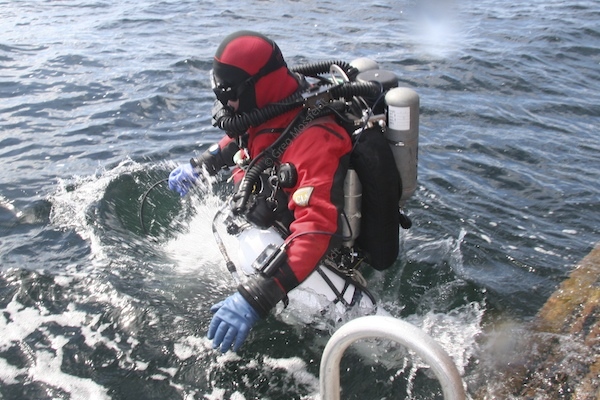 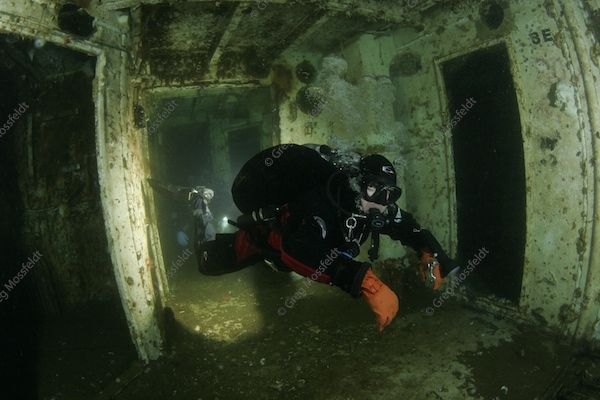 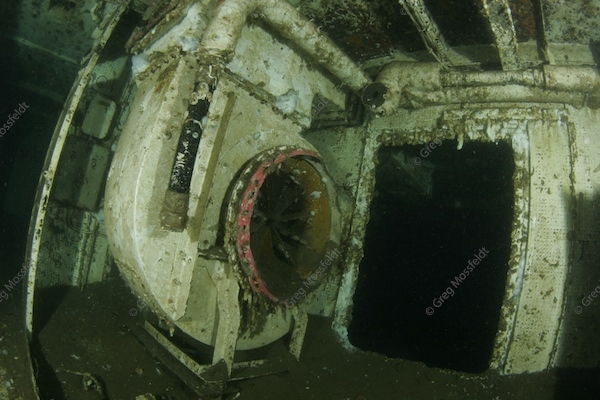 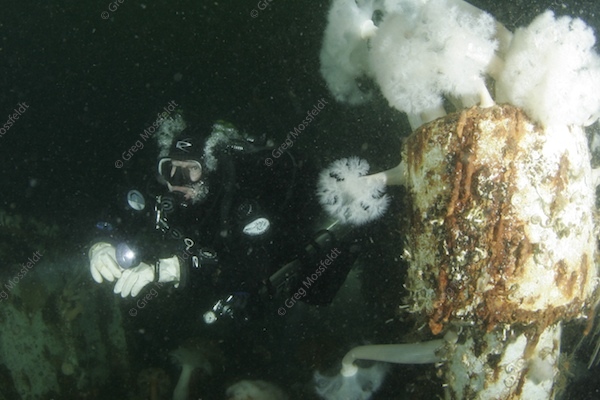 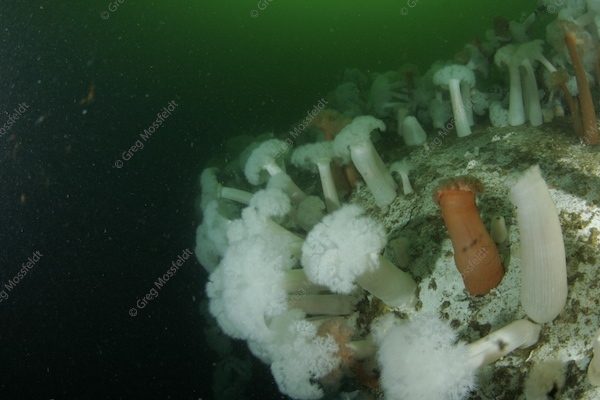 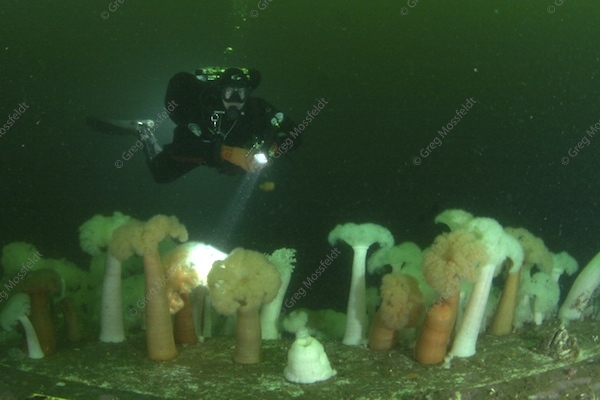 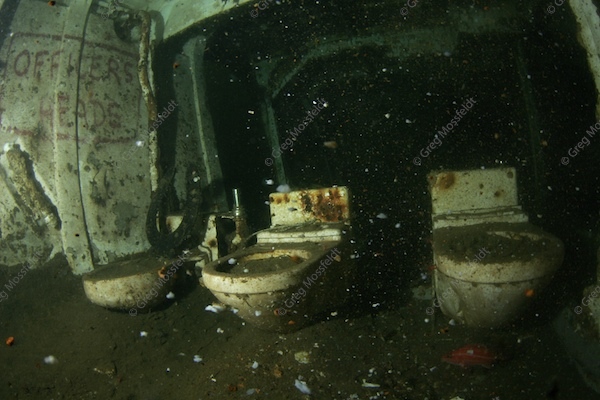 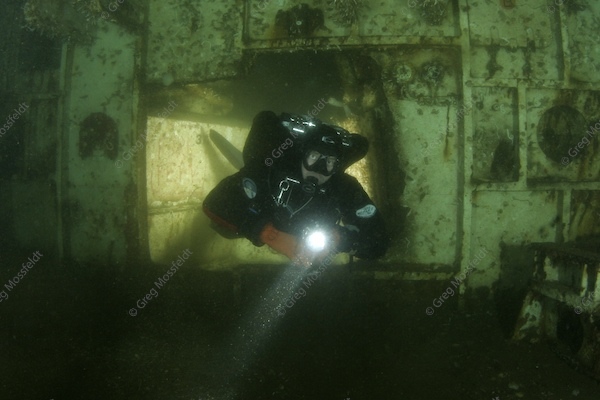 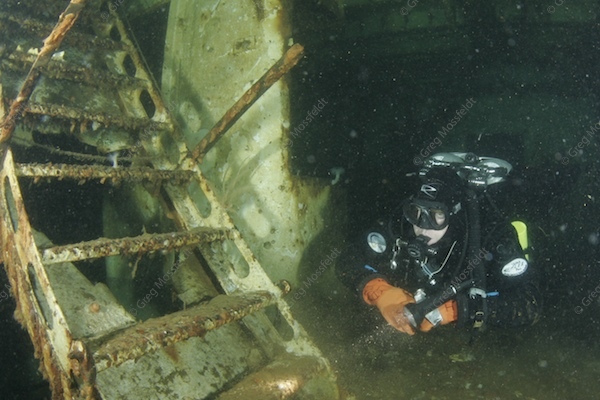 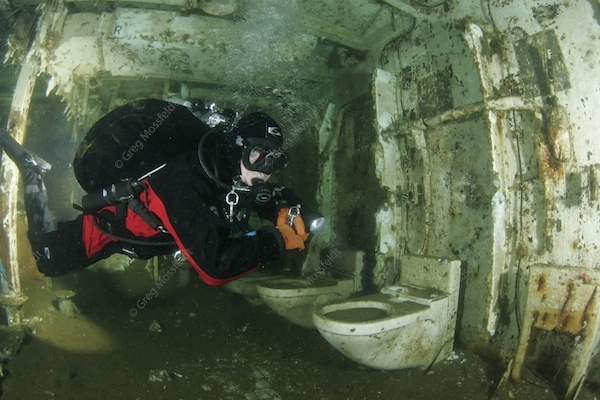 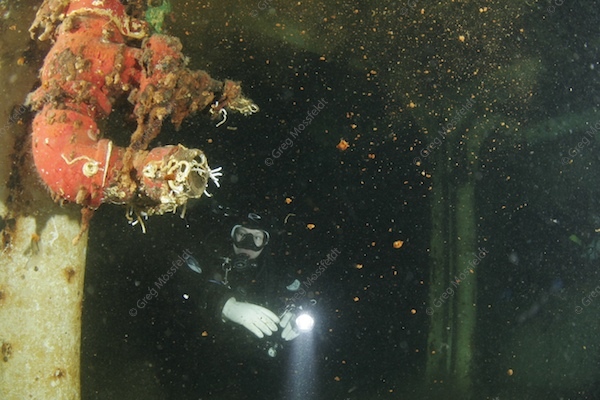 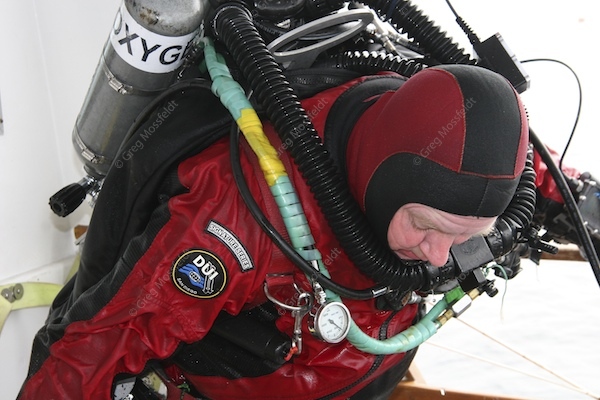 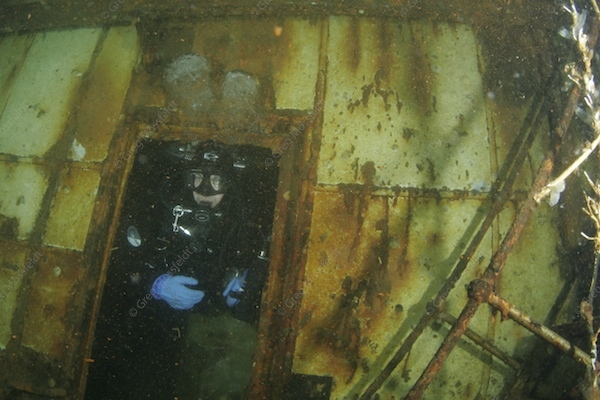 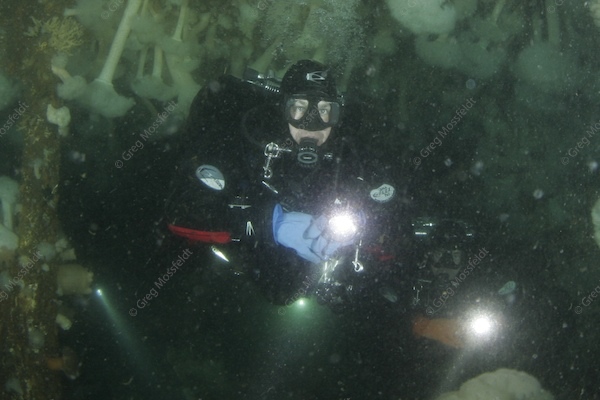 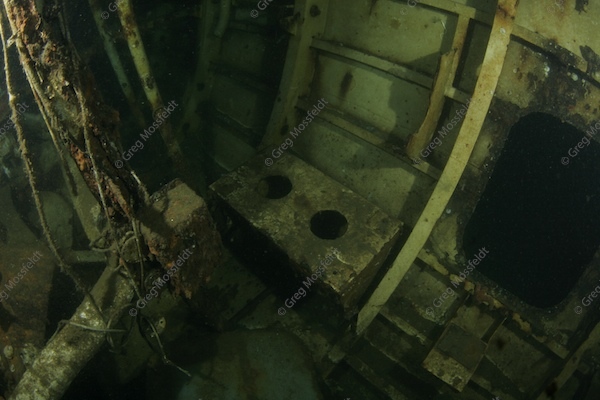 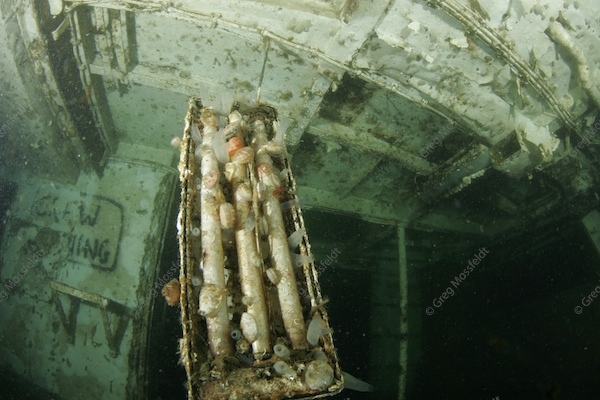 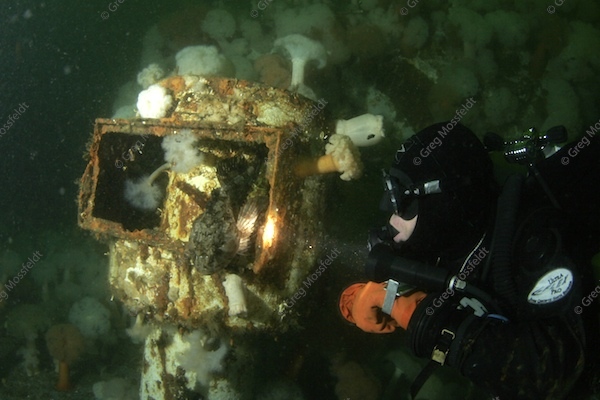 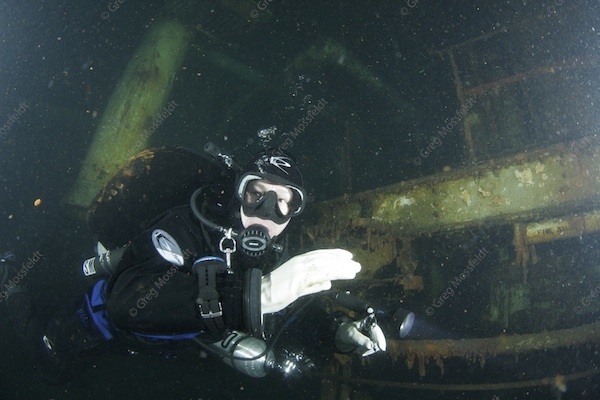 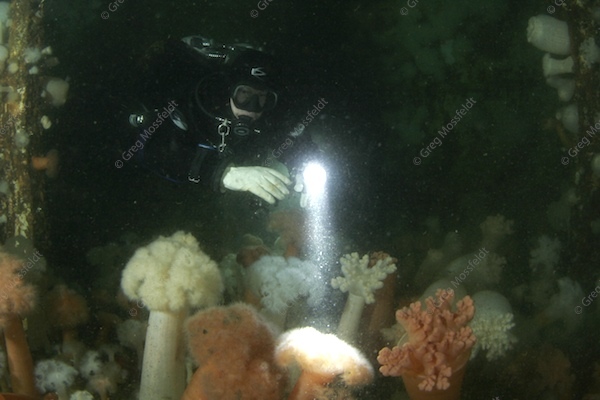 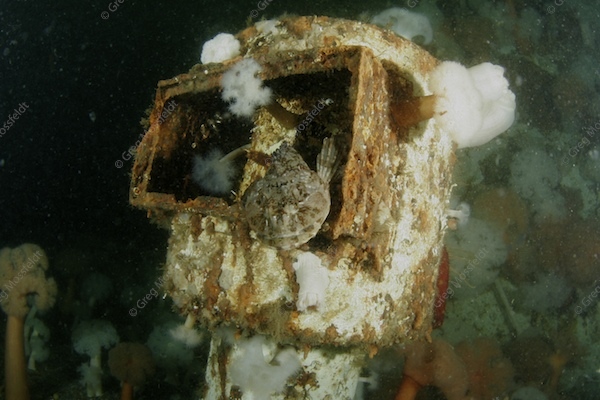 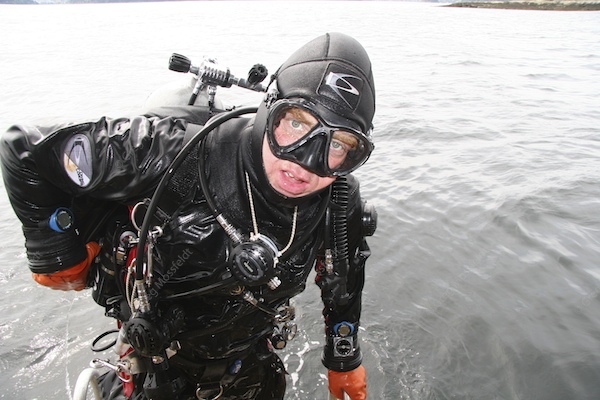 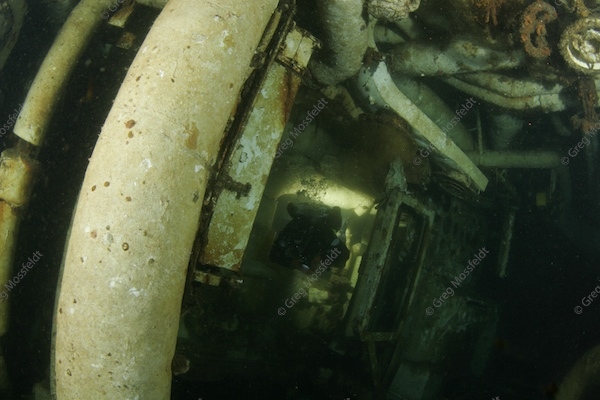 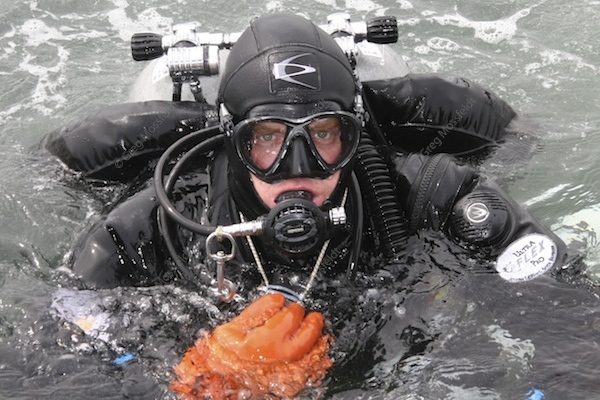 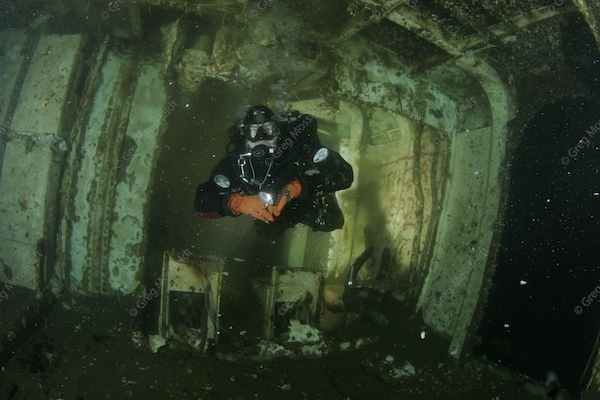 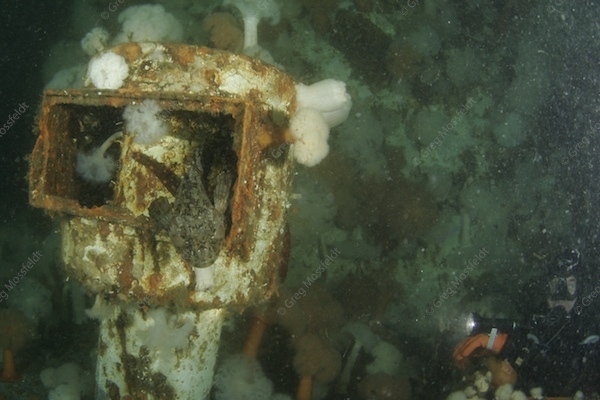 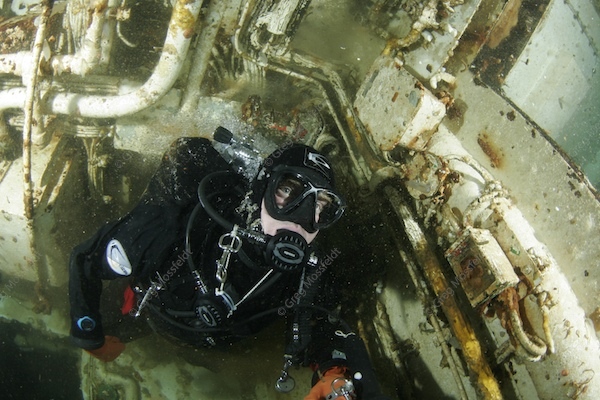 All the divers on the previous trip were geared to dive another three days on the Saskatchewan and Cape Breton in Nanaimo and were looking forward to the structures along with penetrations through the narrow corridors of the past. 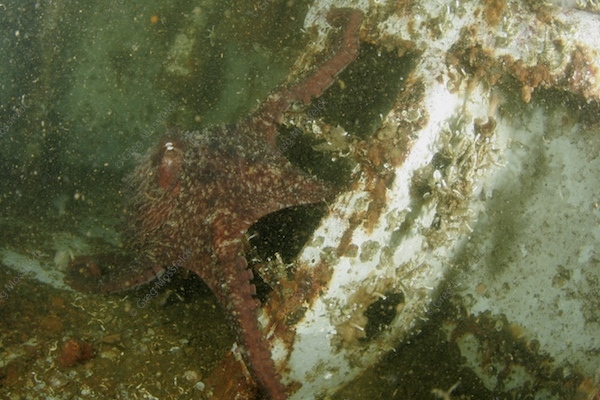 Richard Huntrods now of Ladysmith near Nanaimo joined us on this trip. 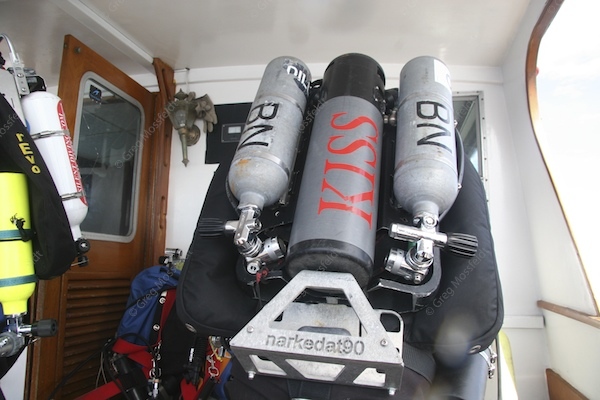 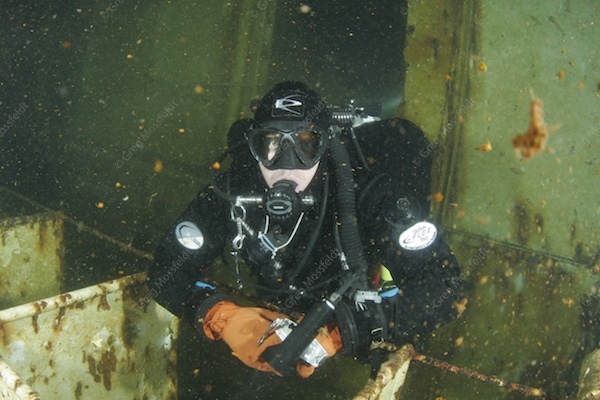 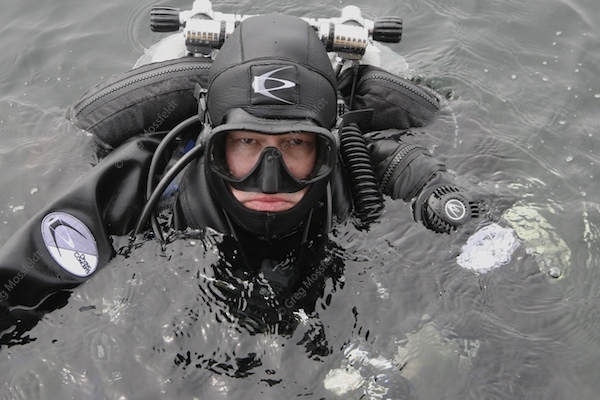 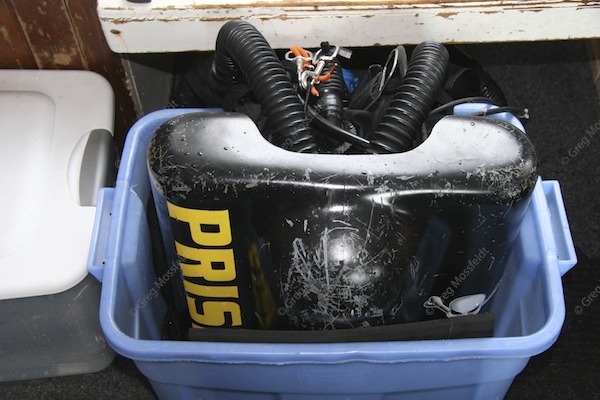 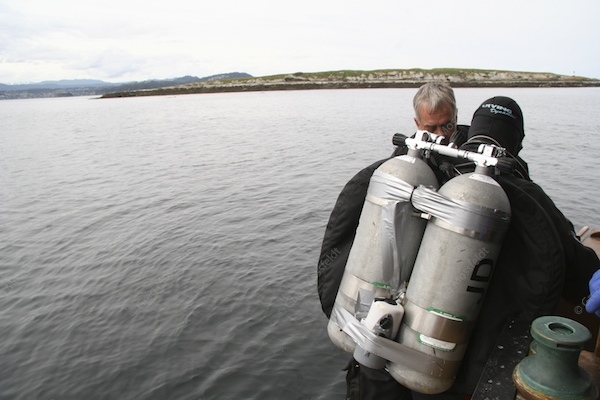 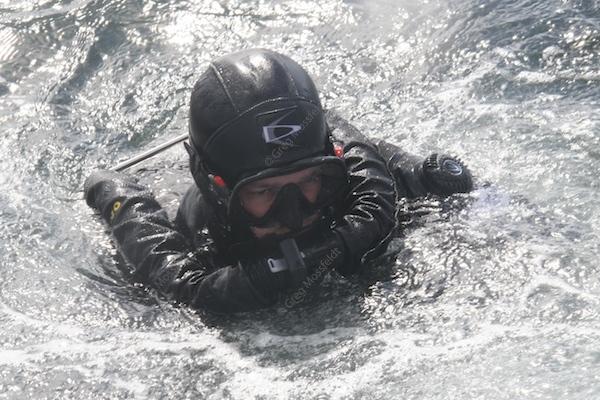 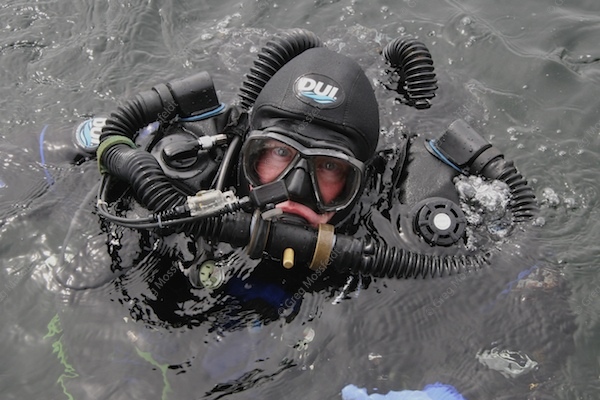 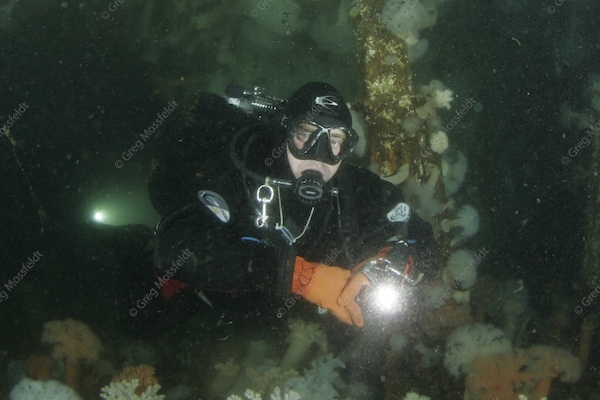 Richard has been fine tuning his skills while out on the coast and is diving a PRISM Closed Circuit Rebreather. 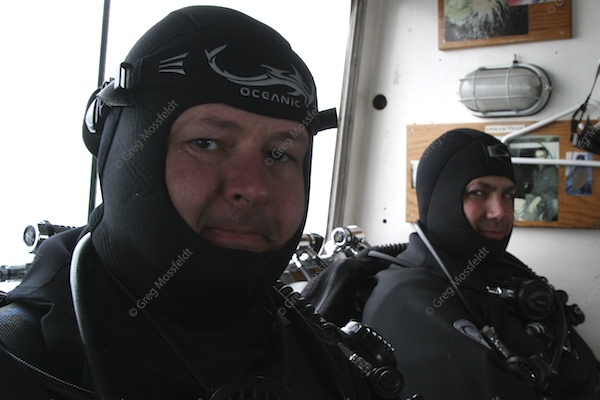 I have to say it was great to see Richard's competency improving to such a degree and it was a pleasure to have him along and enjoy his company.